In last week’s post, I talked about there being three components for a “healthy start” during the spring in the vineyard. Last week, the focus was the irrigation system. 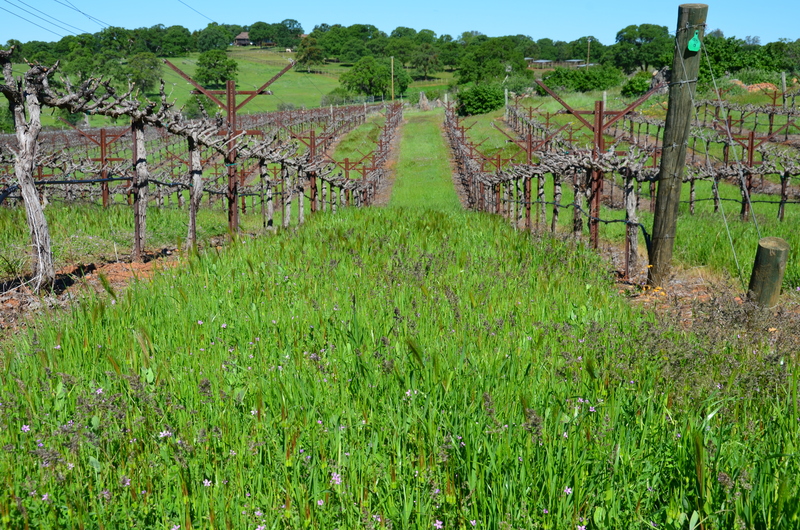 This week, we’re focusing on the other green stuff that grows in the vineyard- the cover crop. While the process is started in the late fall with seed dispersal, the important job of the cover crop happens in the spring. So, just what is cover crop? A cover crop is a grass, legume or other plant that is intentionally planted between the rows for a variety of reasons- preventing erosion, increasing competition or putting organic matter back into the soil. At Naggiar our cover crop is planted to add organic material back into the soil. 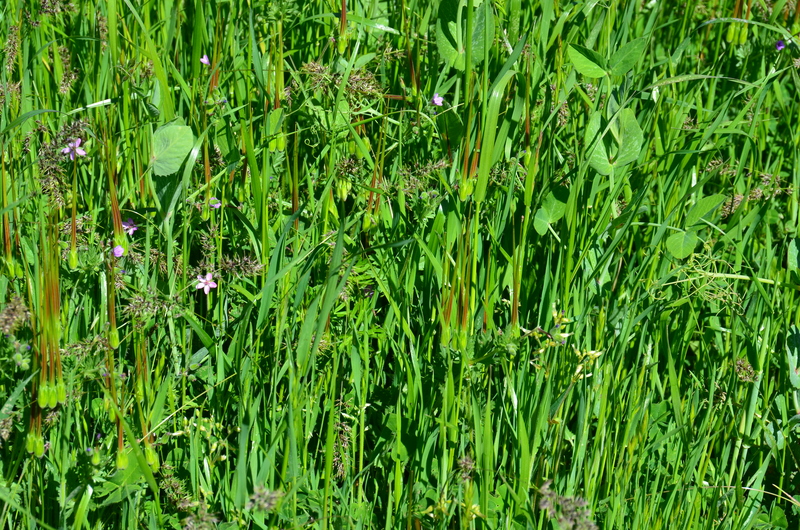 This type of cover crop is known as a “green manure” addition. We selectively choose plants such as vetch, rye, barley, and clover that grow well in our microclimate, but also put a measurable amount of macronutrients back into the soil- hence the comparison with manure, but with a much more pleasant smell! Adding macronutrients back into the soil is very important to achieving optimal health in the vine. Think of the soil like our digestive tract- it contains all sorts of beneficial bugs and critters (well, hopefully not critters in our bellies). These guys take in the nutrients and change them into something the our bodies, or in this case, the vines can use to thrive. You may of heard the health of the body starts in gut- the same is the case with vines and the soil. Nothing like a good gut analogy. As important as the macronutrient aspect of the cover crop is, the most important thing is does is to help the soil to hold onto moisture longer. As with all life, water trumps all. Once the cover crop reaches 10 inches in growth, it looks like one big blanket of vegetation (as in the pictures above) but the seeds are actually planted in rows. As I mentioned, the seeds are dispersed in late fall, after harvest, using a seed drill. The seed drill is a tractor implement that literally drills the seeds into the soil in rows. Early on in germination, you see the rows, but by the time it needs to be mowed, it looks like a solid sea of green. The cover crop is mowed mid to late spring with a flail mower. The mower chops up the grasses and leaves a nice layer of that “green manure” that over the next few years will decompose and work its way back into the soil. As of right now, we have mowed all the drive aisles and the perimeter. As we have had no danger of frost, we can allow the cover crop to grow big and go to seed. If there was a danger from the frost boogyman, we couldn’t allow the cover crop to get too big as it would act as an insulator, keep the cold close to the vines, increasing the probability of frost damage. So what may look like a great expanse of grass and weeds, actually has a crucial job in the vineyard. Next week, the third component in a healthy start- pest control!